Three thugs who caused a horror crash which killed a pensioner while using their cars “as weapons” during a high speed chase have been jailed for a total of 30 years. carriageway ploughed head-on into her daughter’s car in February 2017. A court heard the fatal hit-and-run smash was caused after three cars became involved in a nine mile chase following an altercation between four men. During the pursuit, the BMW was followed by a Volkswagen Jetta and the two cars collided in Gaydon, Warks. 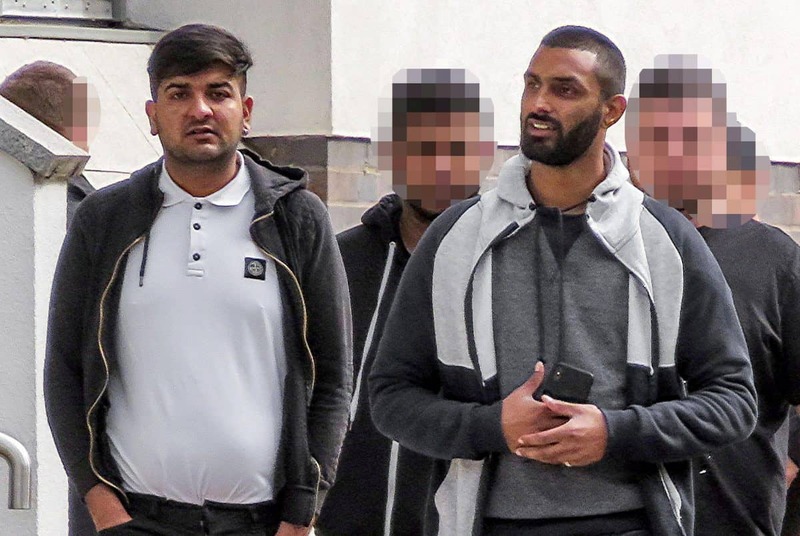 BMW driver Sagar Taseem, 26, who had smoked cannabis and had originally been chasing a Ford Fiesta, then sped off before causing the 60mph crash on the B4451. Mrs Robert was pronounced dead at the scene in front of her daughter Sheena Wilson, who had been driving the car but could “do nothing” to avoid the impact. Meanwhile, all the occupants of the vehicles involved fled from the scene as they carried on chasing each other to continue their dispute. Taseem and his passenger Naqash Hussain, 29, were found guilty of causing death by dangerous driving following a trial at Warwick Crown Court. The pair, both from Banbury, Oxon, were each jailed for 12 years at the same court on Tuesday (5/2) and banned from driving for nine years. Jetta driver Samuel Franklin, 24, also from Banbury, admitted the same charge and was jailed for six years and disqualified from driving for the same period. Kieran Flint, 21, of Banbury, who was driving the Fiesta, was cleared of dangerous driving but found guilty of careless driving and was fined £500. Sentencing, Judge Sylvia de Bertodano “This is aggressive driving over a long period of time when both sides are using their cars as weapons. “It is an ironic aspect of this case that as they went past the Gaydon garage Mrs Wilson saw two cars speeding past, taking a roundabout the wrong way, and her first thought was that there was going to be an accident and she was glad she wouldn’t be involved because they were ahead of her. “But she and her mother never got as far as the motorway because a white BMW driven by Taseem drove up the same road in the face of oncoming traffic and collided head-on with her car. “Mrs Wilson was present as her mother lay dying at the roadside, while the three of you, not hesitating to help, continued your chase. “Mr Taseem, you and Mr Hussain had started to chase Mr Flint way back. “We don’t know why you did that, none of you was prepared to tell us, but Mr Flint called you Mr Franklin to help, and you set out to find them. “You Mr Franklin struck the BMW, and the BMW then turned, and you Mr Taseem and Mr Hussain headed back through traffic. “You were going as fast as you possibly could, with no regard for other road-users and it was inevitable someone would get hit. “It is mere good fortune that only one person was killed. It could have been much, much worse, and it is no thanks to any of you that it was not. “I take the view that the remorse you have expressed is remorse for the situation you find yourselves in. “This was a prolonged, persistent and deliberate course of very bad driving, and I have no doubt that you Mr Taseem were under the influence of cannabis when you were driving in this way. 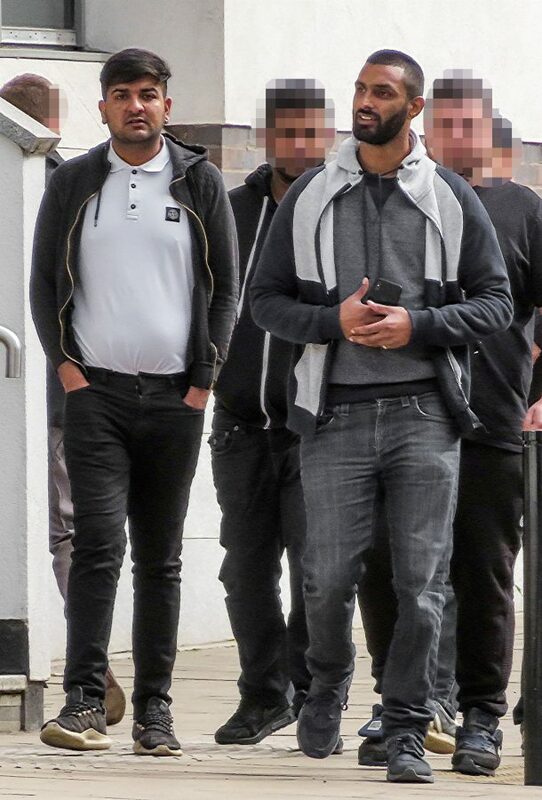 The court heard the events began when Taseem and Hussain began chasing Flint on the outskirts of Banbury. Flint contacted his friend Franklin for help and together they forced the BMW to come to a stop in the middle of the road . Franklin got out armed with a metal bar and approached the BMW, but Taseem drove into the back of Flint’s car and forced his way past before speeding off. Franklin then gave chase and rammed the BMW causing Taseem to speed the wrong way along the dual carriageway. Prosecutor Simon Davis said there was nothing Mrs Wilson could do to avoid the head-on smash as the BMW hurtled towards her Fiesta in the wrong direction. Franklin drove to the scene of the crash and, ignoring the tragic consequences, got out of his car and chased after Taseem and Hussain as they fled. He then returned to his car and drove to the petrol station when he met up with Flint and they went searching for the other two men, leading to a further brief confrontation. Esther Schutzer-Weissmann, defending Hussain, whose previous convictions include three offences of dangerous driving, asked the judge to take account of the fact that he was not the driver.